Why did I change phones? 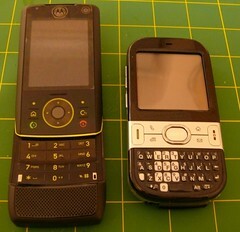 I loved my Treo 650, which I've had for over three years, but it was starting to bug me because of its size. It just felt too big when I took it out and about, expecially for more social does. I wanted something smaller, ideally with a touch screen, and with an intuitive OS. 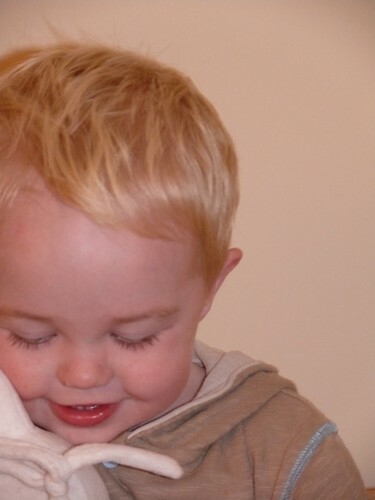 The iPhone was out – even through I'm a Mac fan – as it was locked into O2 and I'm still happy with Orange. In the end, I decided to go for the sleek and svelte and bendy Motorola Z8. This is a consumer smartphone, with Symbian and UIQ as the interface. And it's bendy. I had a bad case of tech lust for it. However, we've split up now, and I went back to the Treo! Why, I hear you ask? Well, a number of reasons. 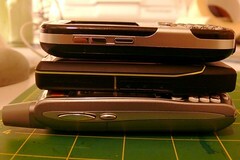 The Z8 crashes more than the Treo. The keypad is very small. But these are minor quibbles, something that any geek with a taste for stylish tech will happily ignore. The real reason I decided to change was the battery life, or lack thereof. I was lucky if I got a day and a half if I used the phone, and even a new battery didn't change things. 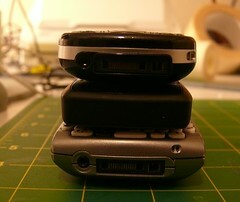 The Treo did 5 days happily at a similar usage rate. Ok, so it's built like a brick and 2.5G not 3G, but I preferred it. The other thing about the Z8 was that even though it was unlocked, I couldn't ever get MMS to work. So it'll go on eBay shortly. It's a good phone, but not for me. 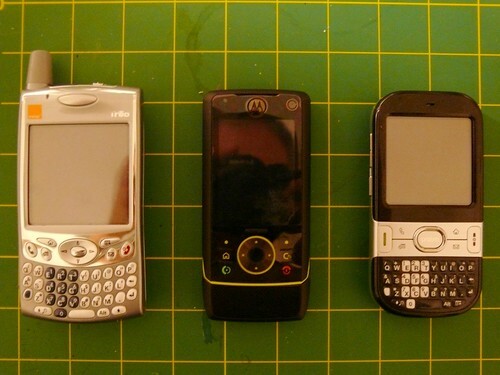 That left me with the Treo, which still irked for the same reason - size! And then I discovered the Palm Centro. Now, Palm have lost their way recently, embracing WinCE, sorry, Windows Mobile as a stop gap until they get their new OS ready. The Centro is probably their last PalmOS machine in it's current form. Spec wise, it's not a million miles different to the Treo 650. OS 5.4.9 vs OS 5.4.7, 4 days life vs 5 days, 320x320 touchscreen, but oh-so-small by comparison. I was sold, and I got an unlocked one for my birthday. And it is gorgeous. Hits all the spots the Z8 was supposed to and more - it is a 'small Treo'. Huzzah! Needless to say, my phone tech-lust is now sated! My birthday passed without quite the level of dark news and comment that I've come to expect since my 30th on 9/11. I'm not sure if the various items of doom and gloom about the financial markets made the old news of the Al-Qaida attack on US fade away, but it was a welcome change. We had a great day; Jill & I both took the day off, and Nathan went into nursery for the day so we had some time to ourselves. We spent the afternoon in the Royal Armouries in Leeds, partly on a scouting visit for the IMechE Regional Dinner, and partly as something different to do. I wanted to see the 'Weapons from the Movies' show, which had a lot of weapons and armour created by WETA for films such as The Lord of the Rings, The Last Samurai, and the Narnia films. It was very impressive, especially as entry was free. It was great spending time with Jill as a couple rather than having the parents bit dominating, albeit I was a little distracted by the gadget she had got me for my birthday with my mum and dad, a Palm Centro phone. However, Jill does tend to say that the odd gadget keeps me quiet! We picked up Nathan, and had a chilled evening. A very mellow birthday, but lovely. UPDATE: I now have a challenge - someone who knows I like gadgets has bought me a missile firing USB connected launcher for the computer, but the package and contents have no clue who it is from. So if you bought it for me, thank you very much, but let me know!